BHIM is a mobile Payment app developed by the National Payment Corporation of India. BHIM stands for Bharat Interface for money. It is based on the latest payment service called IMPS. 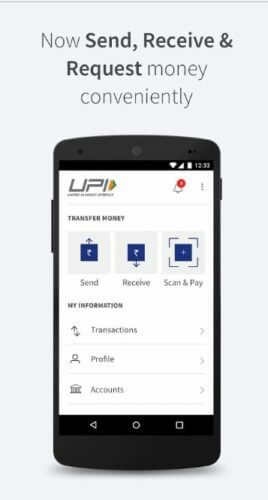 BHIM App is designed to transfer money from one account to another. Hence, it uses IMPS as a transfer process. IMPS stands for Immediate Payment Service. As the name suggests, IMPS is used for immediate transfer of money. Hence, BHIM app is completely different from other Payment apps. BHIM app is basically another version of UPI app. After downloading BHIM App, install it on your phone and follow the below process to complete registration. Note: You will need a registered Mobile number that is linked to your bank account. That mobile number should be currently on your smartphone with BHIM app installed. Install BHIM APp and Open it on your mobile. 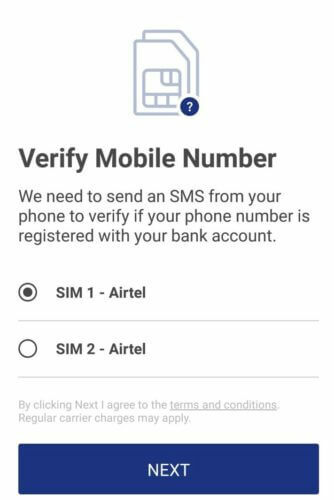 Verify your Mobile Number by selecting the SIM Slot. BHIM will now send a automated message to verify your number. 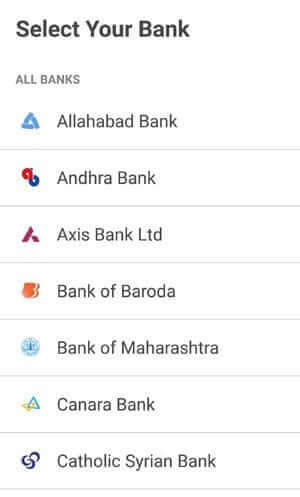 After successful registration, BHIM will show you a list of Banks. Select your Bank and your account number will be displayed. Select the account number to complete the registration process. Create a 4 digit Pin to secure your App. You will only need this Pin to login to your Account. Your Registration process is completed. You can now send/ receive or view your Bank account. There are 3 options to send money using BHIM. Money can be sent using Mobile address, Aadhar card or by Bank account number. The process is same for all the methods. Mobile/Payment Address can be used when the receiver is also a registered user of BHIM app. In this case, you can find the payment address on My Profile section of BHIM. Aadhar Pay is used when the Aadhar card is registered with the bank account of the receiver. 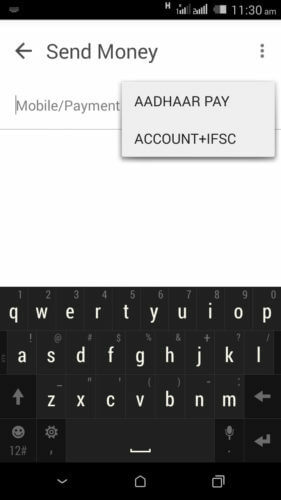 Bank Account can be used to send money to any user who may or may not be a user of BHIM. You will also need the IFSC code of the bank account of the receiver. Click on send money and select your payment method. Enter the Payment address/ Aadhar number or Bank account of the receiver. Verify the address and click on the send button. Now select the amount to send and confirm the payment. Verify the address and click on receive button. Also, you can create your generate your QR code by clicking on the top – right corner. Just add the amount and click on the generate QR code button. The sender can now scan the QR code from his/her BHIM app and pay you instantly. 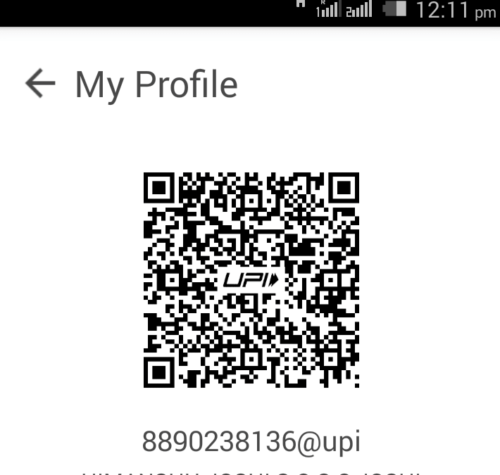 QR Code can also be generated on the Home Page of BHIM APp. This code can then be used for any future payment.